Julie Bird believes in the power of planning to help her clients live the best lives they possibly can. 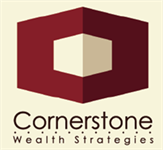 As the Managing Partner at Cornerstone Wealth Strategies, Julie focuses her financial planning skills and expertise on helping her clients maximize what they have; making the most use of their incomes and assets, and making sure the plans they put in place integrate all aspects of their financial lives. Julie's clients - high-income and high-net-worth individuals, professionals, executives and business owners, look to Julie and the team at Cornerstone Wealth Strategies for holistic, coordinated plans that help to efficiently provide financial protection, savings, and growth for their families and businesses. Julie is an active presence in the Fort Worth area; supporting women-owned businesses and giving back to the community with fundraising and charitable activities. Golf is a large part of Julie's life, both as an active golfer herself and in her community and charitable activities, such as her role as the Clubhouse Manager for the Dallas/Fort Worth area Women on Course golf networking group. When she's not working or golfing, Julie loves spending free time with her three grown children. *Not practicing on behalf of MML Investors Services, LLC, or its affiliated companies. Zach grew up in the Colony, TX and attended the University of North Texas in Denton. While at UNT, Zach was a pre-dental student before changing majors to business finance. He graduated from the college of business with a 3.5 gpa and was a part of the UNT Student Investment Group (SIG). When he's away from work, he likes to spend time boating on Lake Lewisville, tailgating at UNT sporting events, watching Game of Thrones, and cooking for his friends and family. She serves on the Board of Trustees at West Virginia Wesleyan College, participates in ministries at White's Chapel UM Church in Southlake, and in her spare time enjoys the company of her family and friends. In her spare time, she enjoys reading and spending time with her family.